Sunday already? Really? This weekend went by way to fast. We had our big school auction fundraiser last night. I have been dragging all day, so that is why I am bummed it is already ending. I still have things on my to-do list that are not going to get done tonight! 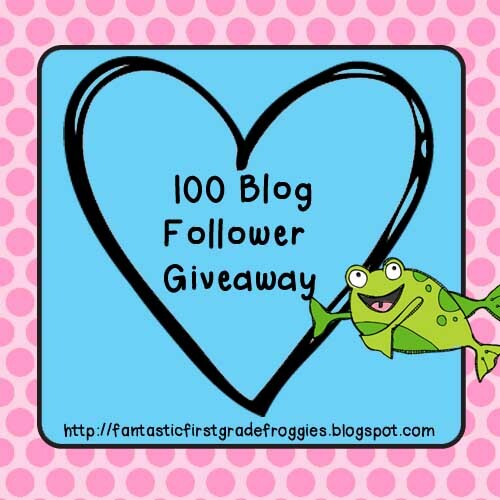 I have a winner for my 100 blogger giveaway. Congrats to Kristen! I will get the goodies to you in the next couple of days! I am part of a giveaway over at Teaching and Tapas. Check it out, there are a lot of great prizes! There is also a great Spring Linky over at a Perfectly Poetic Page. And lastly, I finished my Earth Day and Recycling Literacy Center Fun Pack. The math and bundled sets will be coming later this week, as well as a Earth Day Brain Smart unit.